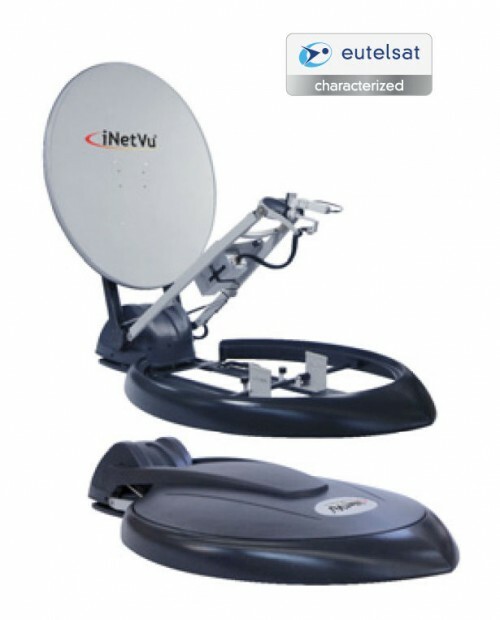 The iNetVu® 1201 Drive-Away antenna system is a sleek, simple to operate auto-deploy VSAT terminal which can be mounted on the roof of a vehicle. It is suitable for the most demanding applications. Its refl ector optics feature a long focal length for excellent cross-pol performance. All three motorized axes have very low backlash and work together seamlessly with sophisticated integral sensors and the iNetVu® 7024C Controller to ensure excellent pointing accuracy.